Bearcat Stables has been providing horseback rides and family fun since 1998, and is a staple in the Vail Valley, recognized as one of the top stables in the area. Featured in several magazines such as Vail/Beaver Creek, Food and Wine, Trail Rider, and American Way by American Airlines, we strive for 100% satisfaction in every aspect of our business. Located on the historic Bearden Homestead, originally settled in the early 1900's, you and your family may rediscover a piece of American history while enjoying the beauty of the Cordillera Valley from the back of a horse. From one hour to our four day trip to Aspen, we have something for everyone. The ranch is nestled along Squaw Creek in Cordillera, which provided a lifeline for the Bearden's as they raised cattle and grew crops during the 20th century. Ellis "Bearcat" Bearden was the last owner of the property, and sold the ranch to Cordillera in the early 1990's. It has since been completely restored and turned into a world class horseback riding stable open to the general public operated by Indian Summer Outfitters. There are two original cabins still present that you may tour, as well as photos and video of these American Pioneers. 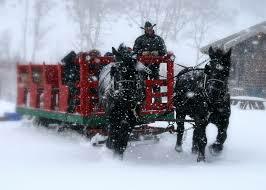 The ranch is also available for weddings, private parties, and sleigh ride dinners. We hope you join us in our little piece of Colorado heaven.